Million Hoodies Movement for Justice members receive special access to resources and opportunities that increase the value of membership, build leadership, and strengthen our human rights movement to end gun violence and reimagine safety and justice for all communities. Sign up to join our membership today! We convene our membership every year at our National Gathering to make connections and experiment with strategies to grow our community. If you are looking for deeper involvement join or start a campus chapter! “I joined Million Hoodies because I didn’t have the answer to the question: ‘What can I do to help my community?’ That feeling of helplessness did not sit well with me. In the wake of the myriad of vivid imagery of police brutality in the summer of 2016, I could not in good conscience sit idly by while more and more people who looked like me get taken out. The visages of Philando Castile & Alton Sterling as their lives left their body was nearly too much for me to bear. Million Hoodies Movement for Justice has a growing membership nationwide and partners with students on college campuses to advance human rights and end gun violence. Our chapters work on a diverse set of issues to reimagine safety and justice for all communities. 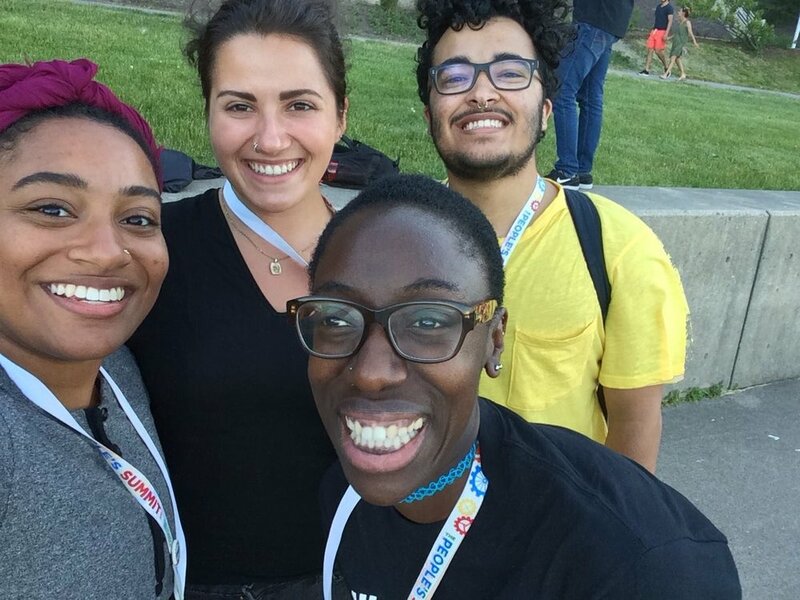 Together we work to amplify young people to influence the national debate about gun violence. We also hope to grow a network of activated allies and supporters! Please donate, subscribe to our newsletter, and text in to join our We Keep Us Safe Network. Our communities are in a time of crisis; and there is power in numbers to push for transformative change.